The Horror Section: Show Your Support! 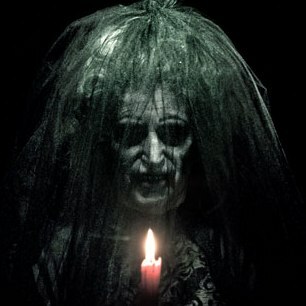 As I'm sure you are all aware, Insidious lands in theatres today. I would urge all horror fans to check it out, as it is well worth your time and just the type of thing we should be supporting. I was lucky enough to catch it at Midnight Madness last year and it's pretty bangin'. It has solid performances all around, genuine scares and harkens back to the classic haunted house tales without feeling like a carbon copy. For my full review from last September, click here. Here below, is some video from the TIFF premiere, courtesy of Robert Mitchell. Lastly, James Gunn's newest flick Super also opens this weekend. I would recommend this as well to anyone who likes comedies, with a splash of darkness. Rainn Wilson, Ellen Page and Kevin Bacon are all awesome in it. See the trailer below. WATCH OUT! These are the SAW fuckers at it again. "Insidious lands in theatres today. I would urge all horror fans to check it out, as it is well worth your time and just the type of thing we should be supporting." Rural Alberta decied to show this. Hobo w/ a Shogun is also out right now. Suppose we are making progress. I will say this about Insidioius. It seems like an above average M. Night Shamalamdingdong movie...As if the scares were a little too obvious and that he/they could have done more. I've been to Texas and I expect more. Glad to hear Hobo made it out West. Yeah, at this point I'd say Shamhammer WISHES he could make something as good as Insidious. As for Texas, hopefully Red State is more to your liking.